Lots of my tea knowledge has been gained through YouTube channels of vendors and other tea enthusiasts. They’re great to watch during solo tea sessions because you can pretend that you have tea friends, and some are quite educational and entertaining to boot. Below is a list of my favourite tea-related YouTube channels, which I will attempt to keep updated. If you know of any good ones not listed here, please let me know about them! 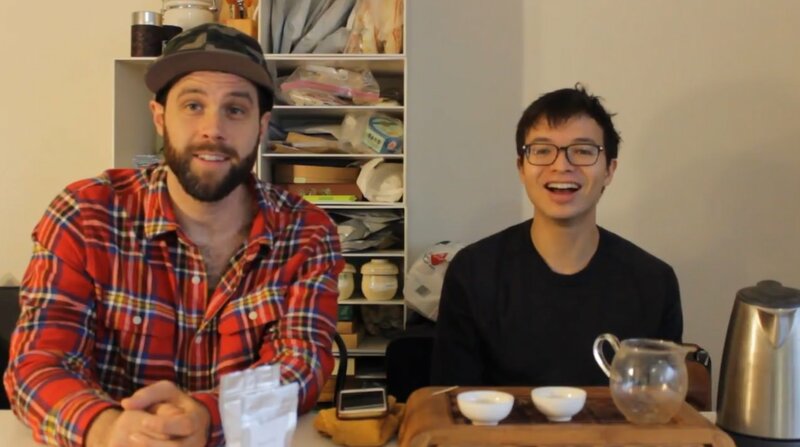 James and Denny are a dynamic duo of tea enthusiasts from Seattle who produce an enormous amount of video content on a wide variety of tea and tea-related topics. 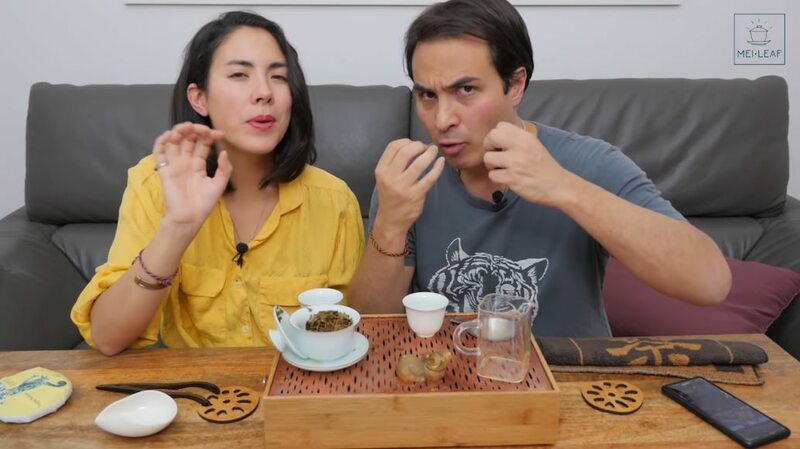 Their ~15 minute episodes typically feature a review of a tea that a vendor has gifted to them, although they also do more generic educational videos, interviews with vendors/tea bloggers/etc., and other tea-related topics (e.g. DIY pu’er storage techniques, buying tea from Taobao through an agent). Their site teadb.org additionally contains a large compendium of information on Chinese teas, particularly pu’er and wuyi & Taiwanese oolongs. Strengths: Tonnes of content, regular uploads, not a vendor (i.e. more impartial), pu’er expertise, inventors of the non-gender-specific “mum test”. Don and Celine are tea vendors from London with both a brick-and-mortar store in Camden and an online store at meileaf.com. 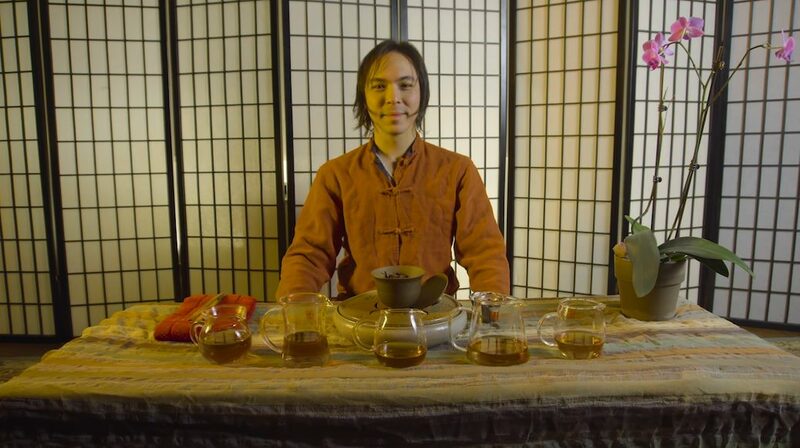 They produce a large amount of high production quality videos on a variety of tea and tea-related topics. These are mainly focused around the teas and teaware they stock but they combine this with a lot of educational information. They also do live sessions that go for several hours where they do giveaways, announce upcoming things for the store and interact with viewers. As with all vendors, you will want to cultivate a healthy skepticism on claims made, despite their charm! Keeping this in mind, they put a lot of energy into their videos and do a great job at getting people excited about tea. More recently they have also been sharing videos from their China sourcing trips. Strengths: Lots of content, very high production quality, regular uploads, some “on-location” content, tree age optimism. 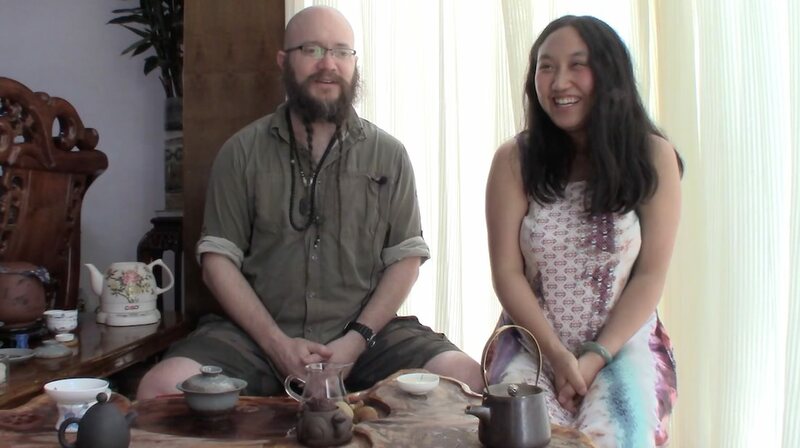 Glenn and Lamu run an online tea store at crimsonlotustea.com where they specialise in their own pu’er productions. They spend a good amount of time each year in Yunnan doing tea sourcing and they put up videos about that journey. This includes interviews with locals (with Lamu translating), footage of the tea farms and tea processing factories. I was really impressed with the videos from their 2017 trip, and they are about to head over again for the 2018 season, so I’m sure more videos will be coming soon. They also have some straightforward tasting videos of their stock. Strengths: Pu’er expertise, lots of authentic “on-location” content, Tibetan Chinese perspective, viking beard. 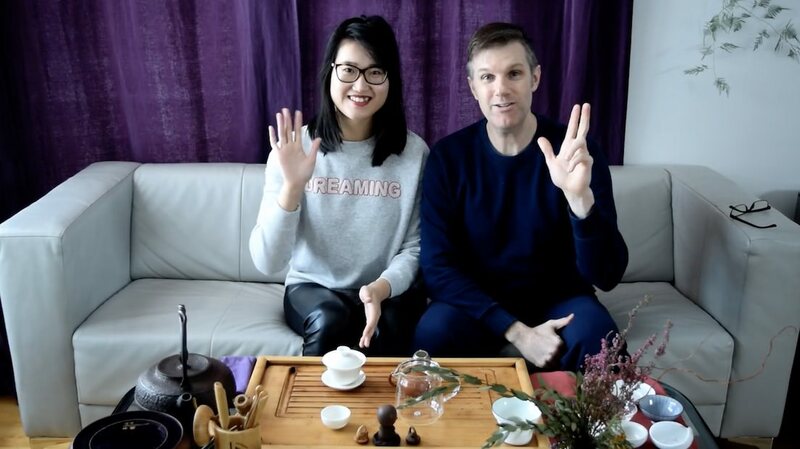 Scott and Xiao Yao run yunnansourcing.com, a very popular online tea store running since 2004 that stocks a huge range of teas, including their own pu’er productions. Scott has been making quite a few videos lately that showcase stock from the store, sessioning teas and going through tasting notes, sometimes doing comparisons. There are also a number of earlier Q&A videos in response to common customer questions too, which I found quite interesting. Strengths: Good production quality, pu’er expertise, regular uploads, funky wallpaper. Zhen and Phil run online store zhentea.ca from Ottawa. Their YouTube channel has a modest amount of content but they have a nice mix of educational videos, tastings and experiments. They will often intersperse some Chinese cultural information or perspectives into the videos that I haven’t heard elsewhere. Strengths: Good production quality, unique Chinese perspectives, Canadian accent. Dawn and Matt run online tea store Tea Angle from Sydney, and The Teapository is their YouTube channel. They specialise in dancong oolongs, more recently branching out to wuyi rock oolongs. 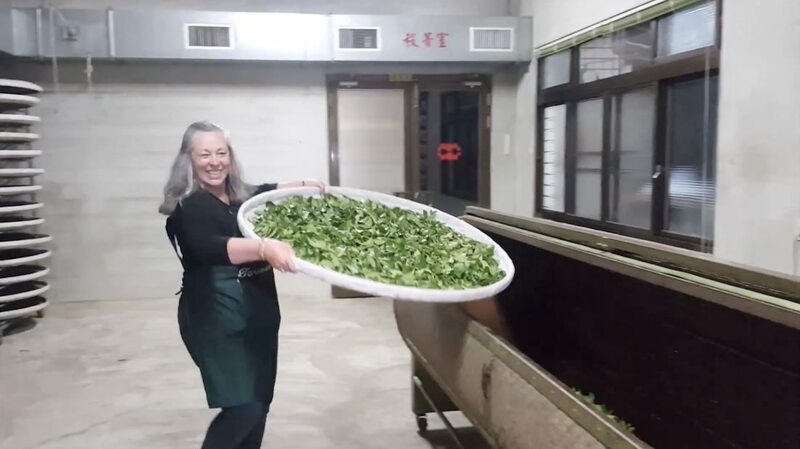 They have a modest but growing amount of content that includes videos from events like their China sourcing trips and the Sydney Tea Festival, educational videos on Chinese tea culture and brewing methods, and tasting sessions with unusual or interesting teas. Strengths: Good production quality, Dancong expertise, regular uploads, unique Chinese perspective, brutal honesty. William and Yubai run farmer-leaf.com, an online tea store based in Pu’er city, Yunnan. They have a modest amount of content but much of it is quite unique in that they run their own tea farm and do their own processing. This means they have very detailed videos about the tea plants themselves, agricultural issues, processing methods and vendor concerns. I’m very jealous of William’s Mandarin skills. Strengths: Pu’er expertise, tea farming and processing expertise, Dai Chinese perspective, multilingual (subtitled for English monolinguists). So-Han runs westchinateacompany.com, an online tea store, and often hosts events at Guan Yin Tea House in Austin. 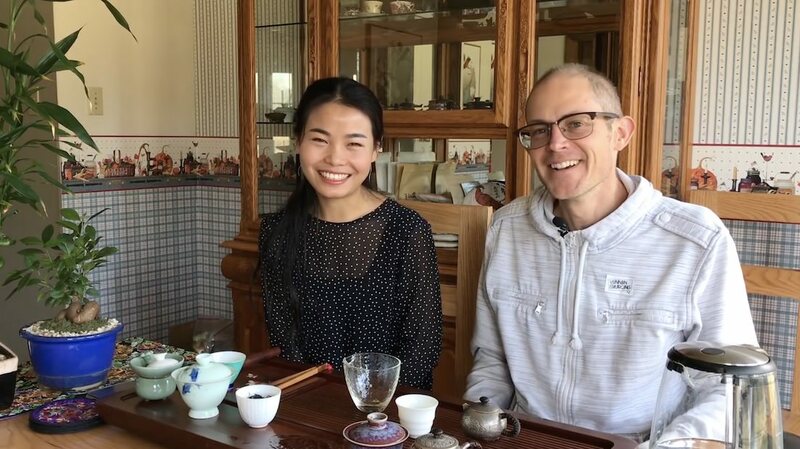 His “Tea House Ghost” (茶館鬼) YouTube channel has just completed a 10 episode season uploaded over the last 6 months about gongfu cha. It’s the most approachable and thorough tutorial on the topic I have ever seen. I learnt a lot despite having been brewing ‘gongfu style’ for several years. I’m looking forward to whatever the next season brings! Strengths: Very high production quality, unique Chinese perspective, badass hair. Tania runs online store Cuppa Cha out of Melbourne. 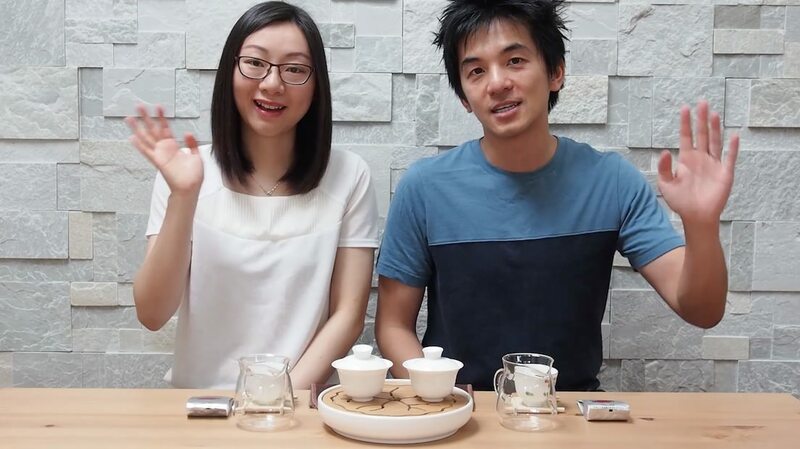 Her channel has a wide variety of videos including introductions to certain tea types, tea pairings, cooking with tea, tea houses she encounters while travelling, tea farming and processing in Taiwan, interviews and more. Strengths: Wide variety of content, Taiwanese oolong expertise, World Tea Brewing Champion.